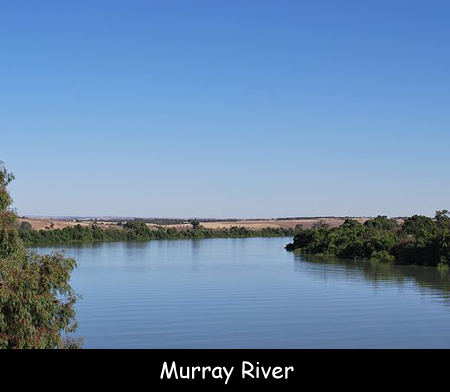 Murray River is Australia’s longest river with a length of 2,508 kilometers. It is also the world’s third longest navigable river ranked after Amazon River and Nile River. This river was discovered by European explorers Hamilton Hume and William Hovell in November 1824. They called it the Hume River. This river runs across three states – New South Wales, Victoria and South Australia. There are a total of 4 major dams, 16 storage weirs and 15 navigable locks on this river. The Murray-Darling Basin area (MDB) covers more than one million square kilometers. This river is home to the Murray cod which is Australia’s largest freshwater fish species, weighing from 5-22kg. The largest ever Murray Cod measured 183 centimeters in length and weighed 113 kilograms. The Murray River Act 2003 is an act that ensures that the river is protected from activities that could affect its health. This river forms the border between New South Wales and Victoria for 1,880 kilometers. The source of this river is in the Southern Alps of NSW and Victoria, and flows in a westerly direction. The Murray River is the third largest water catchment on earth. This river provides water to about 1.5 million households in the country. In 1887 a Canadian George Chaffey introduced an irrigation system from the river. The river has its own flag and it has been in use since the 1850’s. Declan, Tobin. " Fun Facts for Kids about Murray River ." Easy Science for Kids, Apr 2019. Web. 26 Apr 2019. < https://easyscienceforkids.com/murray-river/ >.